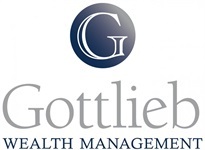 Gottlieb Wealth Management is an independent financial services firm seeking to provide the highest standard of professionalism in the fields of wealth management, retirement planning, financial guidance and investment counsel. We strive to provide dedication, wisdom and integrity that exceeds expectations. We work closely with our clients to create, implement and manage tax efficient comprehensive strategies aligned with their specific requirements and objectives. Utilizing our knowledge, wisdom and experience, we specialize in financial guidance, retirement planning, wealth management and investment counsel. Jeremy D. Gottlieb is a Registered Representative with and securities offered through LPL Financial, member FINRA/SIPC. Investment advice offered through Integrated Wealth Concepts (IWC), a registered investment advisor. IWC and Gottlieb Wealth Management are separate entities from LPL Financial.